Pearl Lam Galleries is pleased to announce its second participation in the fifth edition of Art Busan, one of Asia’s fastest growing art fairs. The fair attracts top-tier and up-and-coming contemporary art galleries and collectors from around the world; it has increased in scale by 50% each year since its inception. 190 galleries from 19 countries are taking part in this year’s fair, located in the renowned waterfront city of Busan. At Art Busan, the Galleries will continue its mission of promoting cross-cultural dialogue within Asia, as well as between the East and West by exhibiting contemporary artists from different cultural backgrounds. The Galleries will exhibit works by Chinese artists Ren Ri, Su Xiaobai, Yang Yongliang, Zhou Yang Ming, and Zhu Jinshi; as well as works by Indonesian artist Gatot Pujiarto, and Italian artist Pino Pinelli. Many of the exhibiting Chinese artists are known for being pioneers of Chinese abstract art, having led the movement to break free of realist painterly ideals prominent in 1980s China. These artists root their work in Taoist philosophy, which advocates the interconnectedness of humanity and nature, along with the cultivation of the inner self. Renowned Chinese artist Zhu Jinshi (b. 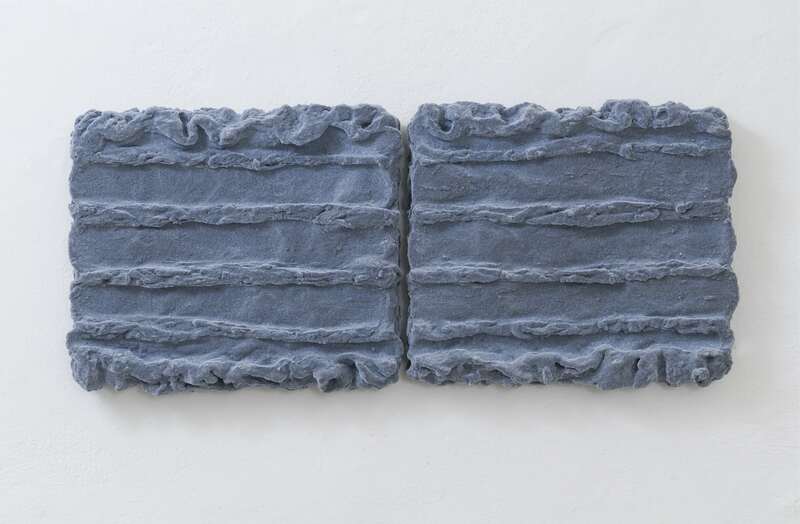 1954), whose works synthesise Chinese sensibilities with an international visual language, leads the line-up at Pearl Lam Galleries’ stand with two oil on canvas works. Having lived in Germany for over two decades, Zhu is one of the pioneers of Chinese abstract art. He began to create abstract paintings in the late 1970s and moved to Berlin in 1986, where he began to experiment with performance, installation, and conceptual art as well. Using traditional Chinese aesthetics, Zhu’s canvases incorporate a series of “mind images” that emphasise the harmony between mankind and the natural world. The Galleries will also present three mystical works by Su Xiaobai (b. 1949), one of China’s most distinctive painters whose works straddle sculpture and painting. Ranging from shell-like finishes to sensuous, curved profiles and abraded textures, they exist entirely on their own terms, exuding their own history, character, and independent presence. Beijing-based artist Zhou Yang Ming (b. 1971) will show two line-based acrylic on canvas works, which investigate spatiality within the limitations of a canvas. Zhou’s works are all based on line and space, which ultimately reflect his thoughts and ideas at that specific moment. By drawing and painting line upon line, he creates a colourful surface which shows great training of both the hand and mind. Malang-based Indonesian artist Gatot Pujiarto (b. 1970) will present two large mixed-media collage works that consist of canvas, cloth, paper, and acrylic. Pujiarto’s works explore abnormalities in everyday life, amusing and provoking audiences to reinterpret everyday stories into new realities. The visual sensation in his works is combined with unique textures created by pasting, patching, layering, tearing, binding, and by making fabric patterns. Shanghainese artist Yang Yongliang (b. 1980), whose works will be shown in Busan for the first time, will exhibit a video work in his typical grayscale. Yang, who was trained in traditional Chinese painting and calligraphy, is well known for his intricate digital collages of urban and natural photography of China’s rapidly changing landscape. He uses digital editing techniques to create fantasy landscapes that evoke traditional Chinese ink works. Yang’s new mixed-media painting will also be exhibited as the artist still values painting as part of his practice, although he is primarily known for his digital media works. Four intriguing works by Italian artist Pino Pinelli (b. 1938) will be introduced in Busan for the first time. Pinelli explores the essence of painting itself through an innovative use of materials and formal experiments, creating mixed-media geometric forms that mimic either outlines or geometric trails. Pinelli is one of the leading artists of Analytical Painting, defined by art critic Filiberto Menna and characterised by the artists’ interest in the material components of the painting and the relationship between the painting and the artist. In March 2015, Pearl Lam Galleries opened a second Hong Kong gallery space dedicated to emerging artists with an inaugural solo exhibition by Beijing-based artist Ren Ri (b. 1984). At Art Busan, a special section of the stand will be dedicated to presenting a series of the unique beeswax sculptures that define Ren’s artistic career and skill as a beekeeper. Ren manipulates the movement of bees and the formation of honeycombs to create metaphysical and hybrid sculptures, which investigate the force of nature and consequences of human intervention.